The Falcon tobacco pipe has a modern look and is ideal for the starting pipe smoker, but also for the experienced connoisseur. Straight Falcon pipe with a black stem and an ebony Algiers bowl and an ebony Dover bowl. 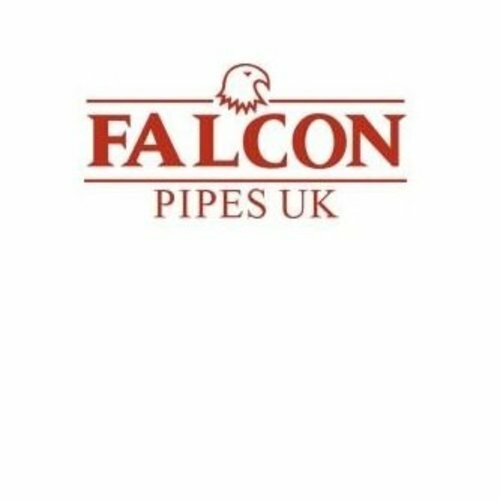 The Falcon pipe is a system pipe, it means the pipe consists of separate parts. The pipe head is screwed onto the metal stem. At the stem is a metal bowl that fits exactly in the head. The metal stem ensures that the pipe can be smoked cool, which is ideal for the starting pipe smoker. By placing a drying ring between the head and the bowl extra moisture is absorbed. A drying ring is not necessary, but depends on personal preference. Because the smoking pipe consists of separate parts, you can put your own pipe together according to your personal preferences. There are different types of pipe bowls, such as the Algiers, Dublin, Dover, Genoa and a number of others. There are brighter bowls with different finishes, including standard, natural, carbon and rustic. But sporadic bowls of meerschaum are also available. The metal stems are straight and curved, and chrome or black. The Falcon tobacco pipe can be cleaned with a pipe cleaner in a normal way. Falcon also has a number of ordinary briar tobacco pipes with a 6 mm. diameter filter. The Falcon system pipe was invented in 1936 by the American engineer Kenly Bugg. From the sixties, production took place in England.